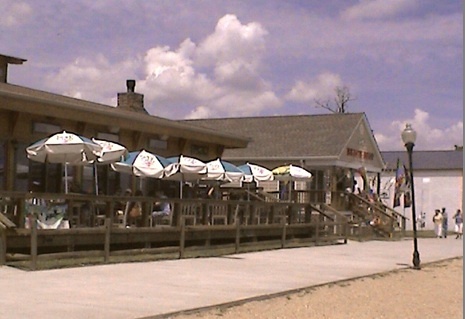 High Tides on the Potomac opened their doors on the Boardwalk in Colonial Beach in 2006, on the site of the old Ambassador Hotel. Around 2010 they opened the cool "Black Pearl" Tiki Bar next to the restaurant. 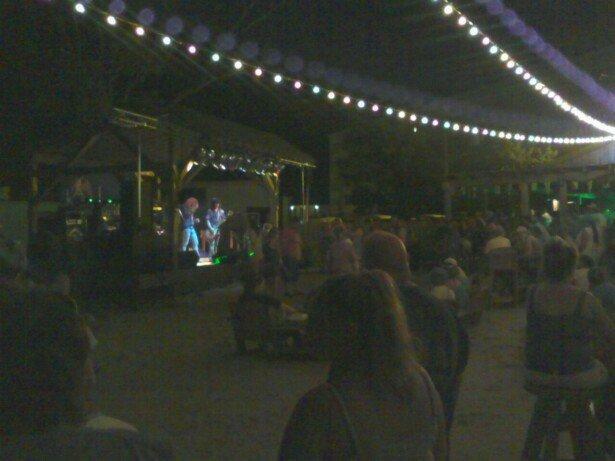 It's been a great success, drawing crowds on weekends for live music and fun. Bands used to have to play on a small corner of the restaurant's deck. The outdoor sand floor concert area has a nice covered stage, overhead light strings, plenty of seating and a lot more room. 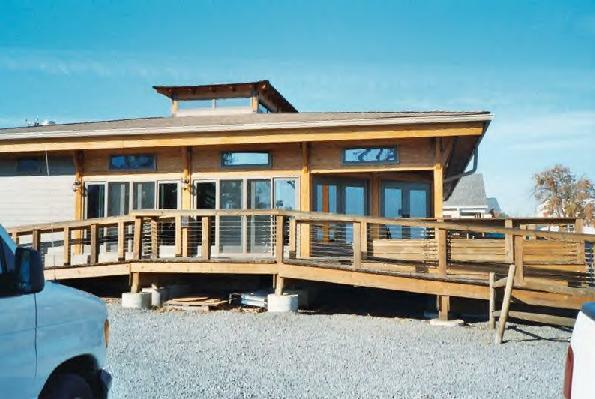 Beachfront dining on the patio, or inside the restaurant gives a great view of the Potomac River. During cooler weather, there's a nice cozy fireplace to sit by inside. Also inside, you'll find a large bar area with many TV screens for your viewing pleasure. This photo was taken before the Tiki Bar was built. It was a parking area. In early 2013 an outdoor grill structure was added. Here's a picture of the building under construction. This is great for if you're enjoying a concert under the stars and want to grab a quick burger and fries. Just walk up to the window and place your order. I've tried many different dishes here, including the Commander Quesadillas and the Riverside Seafood dip from the Appetizers menu, the Sauteed Scallops from the Seafood menu, the Mushroom Swiss Burger and one of the salads. I've liked everything that I have ordered. Usually something from the appetizer menu is enough for me, as the portions are generous. I've even been there on my birthday and gotten their cool dessert-in-a-shotglass treat. It's fun! Some of my former co-workers and I took our Boss to dinner here for Boss' Day once and it was an enjoyable outing. During the holidays, they usually offer a Thanksgiving Buffet and at Christmastime there's sometimes "Dinner with Santa" complete with milk and cookies afterwards, and Mrs. Claus reading "Twas the Night Before Christmas" to the kids. 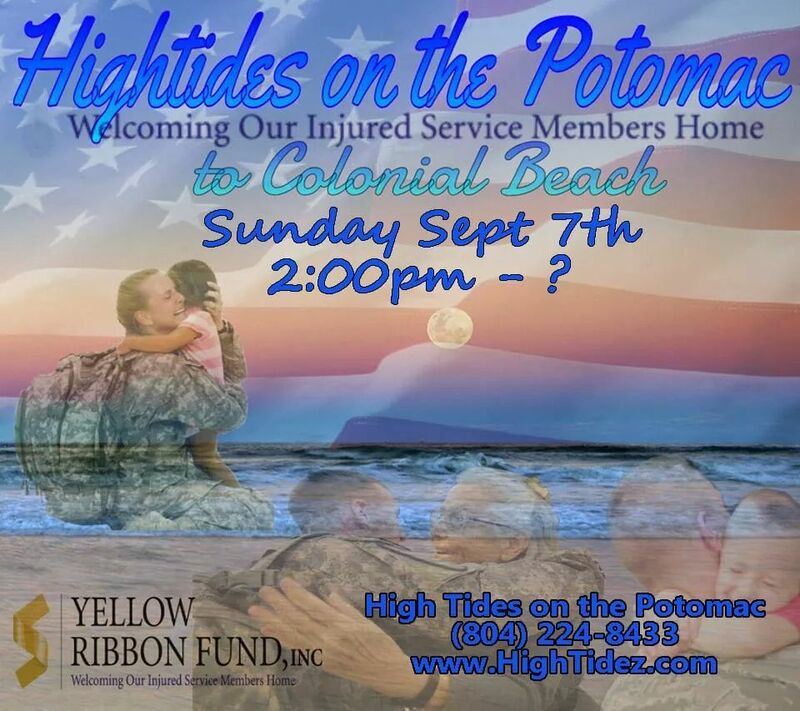 See the menus at http://hightidez.com/menus.html then FAX your order to them at 804-224-9262, then call 804-224-TIDES to see when your order will be ready for pick-up. Ask your server about their High Tides VIP Card and start earning rewards. Sundays from 8 to noon there's an all-you-can-eat breakfast buffet for around $12. We will miss her smile, her sunny disposition and her helpful nature.